The mother of all entrance mats! Used by Stocklands, Westfields and most high traffic buildings and recommended by Architects. Look no further if you need a durable insert for the entrance. Designed specifically for areas that are recessed, (but can be also safety bevel edged), this versatile roll good design is easy and flexible to use. 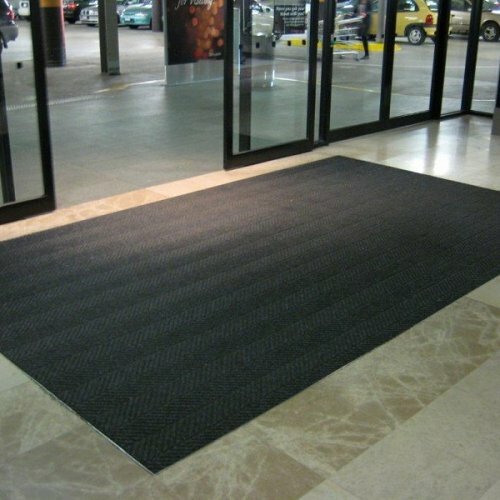 Coming off a 1800mm roll it is great for large entrance area installations and custom cut applications. 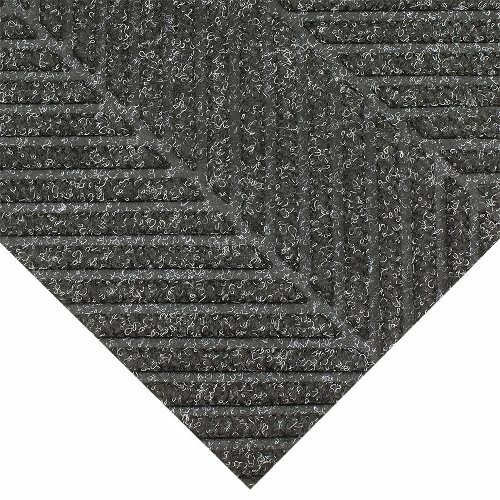 The unique ridged ‘herringbone’ construction effectively removes and traps moisture and shoe dirt and also protects the floor and entryway. The nubs that are exclusively rubber reinforced, prevent pile from crushing, ensuring maximum product performance life and appearance retention. It is also a premium anti-static 100% polypropylene fibre system that will not fade or rot and provides slip-resistant surface even when wet. This mat cleans easily and dries fast. The green friendly rubber backing has 20% recycled rubber content. 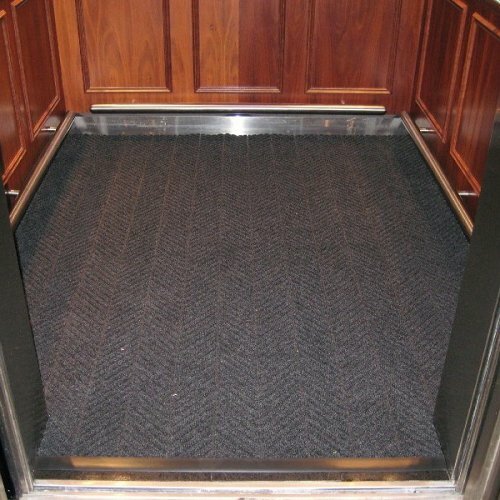 All Waterhog mats are USA produced and are certified slip resistant by the National Floor Safety Institute. Also tested by Australia’s CSIRO. Surface Fabric : 100% Post Consumer P.E.T Polyester reclaimed from plastic bottles. Backing : 20% Post Consumer Rubber reclaimed from car tyres. Compound : Carpet: 100% Post Consumer P.E.T Polyester reclaimed from plastic bottles. Backing: 20% Post Consumer Recycled Rubber reclaimed from car tyres.